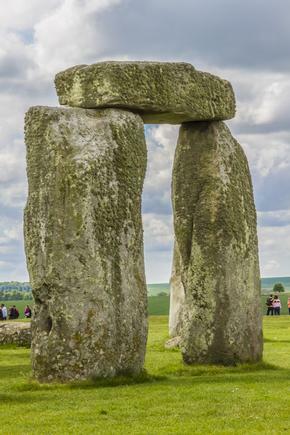 The pre-historic megalithic monument known as Stonehenge stands shrouded in myth, mystery and legend, in Wessex in the south west of England. Designated by UNESCO as a World Heritage Site, today it is in the care of English Heritage and the National Trust. At first sight, seen from a distance the monument appears smaller than expected, due to its isolated position on the vast Salisbury Plain. Closer up however, with a change of perspective, Stonehenge is all that one expects; mighty, awe-inspiring and mysterious. 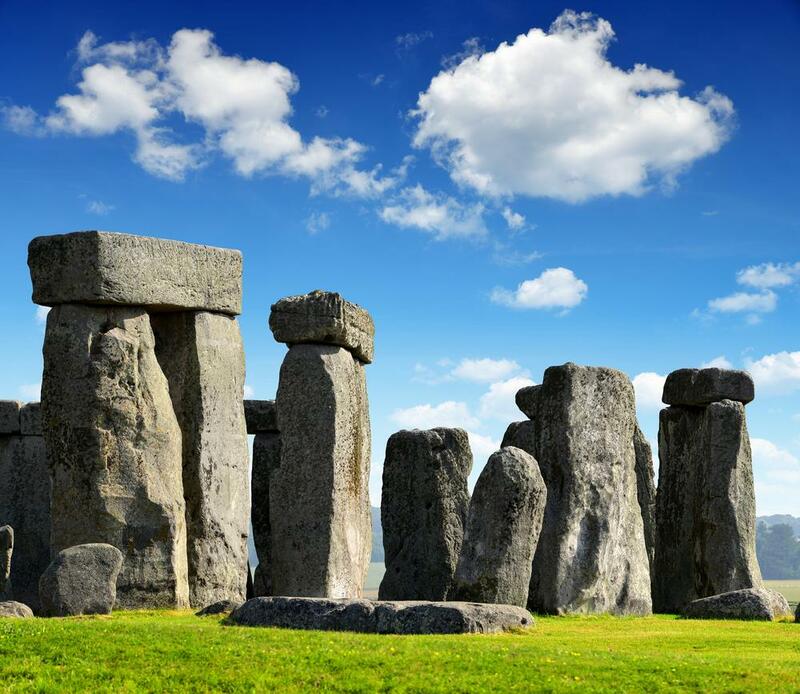 Stonehenge dates from the agricultural Neolithic Age, built in several stages and with various rearrangements to the stones, it was eventually completed in the Bronze Age by the Beaker Folk. 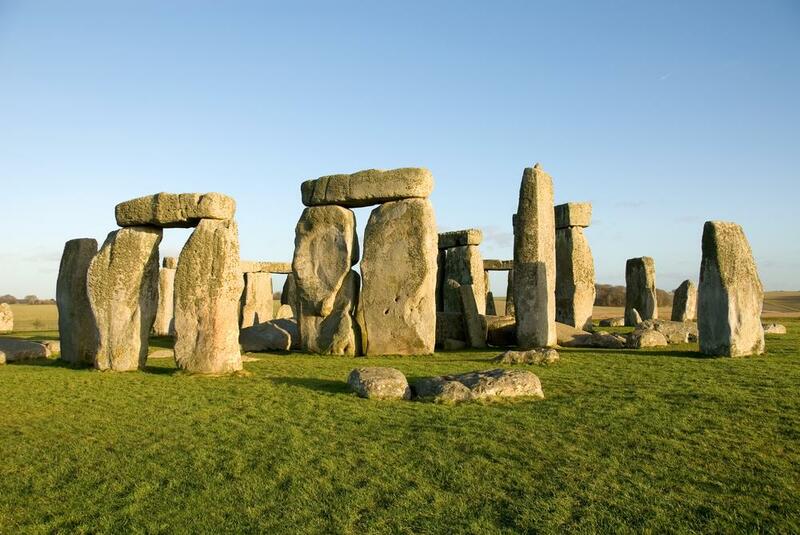 Around 2,950 BC there were no stones on the site, only the outer circular bank. The earthworks or Henge was surrounded by a ditch and a ring of 56 pits inside the ditch, that are thought to have held posts forming a timber circle. These pits are now known as Aubrey holes, named after the poet John Aubrey who discovered them in the 17th century. 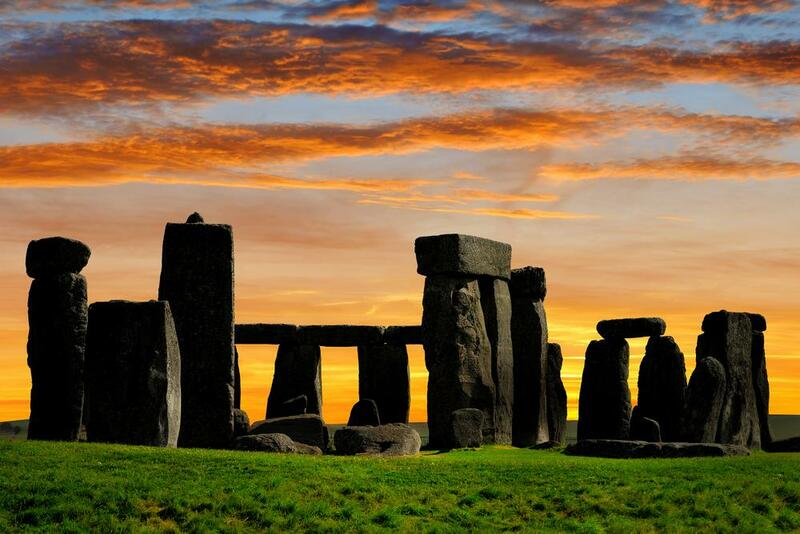 Stonehenge lay abandoned until around 2550BC, when the Bluestones from Prescli in Wales were brought to the site. Weighing 3-4 tons each, it is thought they were dragged by sledges and rollers to Milford Haven and taken by rafts along the south coast of Wales. Sixty to eighty of these great stones were set up in an incomplete circle, with one even larger of eight tons, which was placed near the centre at the focus of Stonehenge, the summer solsticial axis. About 2500BC huge Sarsen stones weighing between six and sixty tons were brought to Stonehenge from a site near Avebury. It is thought to have taken between one and two centuries for all the stones to have arrived. It is possible that the first Sarsen stone to be erected was the enormous Heel Stone, set outside the monument, and the 4 station stones, placed within the circular ditch near the Aubrey ring. 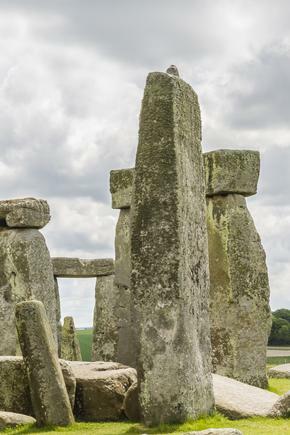 At the end of the final stage of building, the plan for Stonehenge comprised a ring of bluestones inside the Sarsen stone circle, and a horseshoe shape setting of bluestones inside another horseshoe setting of five gigantic Sarsen trilithons. The common axis of all the Sarsen stones and the bluestone settings were aligned with the midsummer sunrise on June 21st - the longest day of the year. For centuries, questions such as 'what is Stonehenge?' 'who built Stonehenge?' 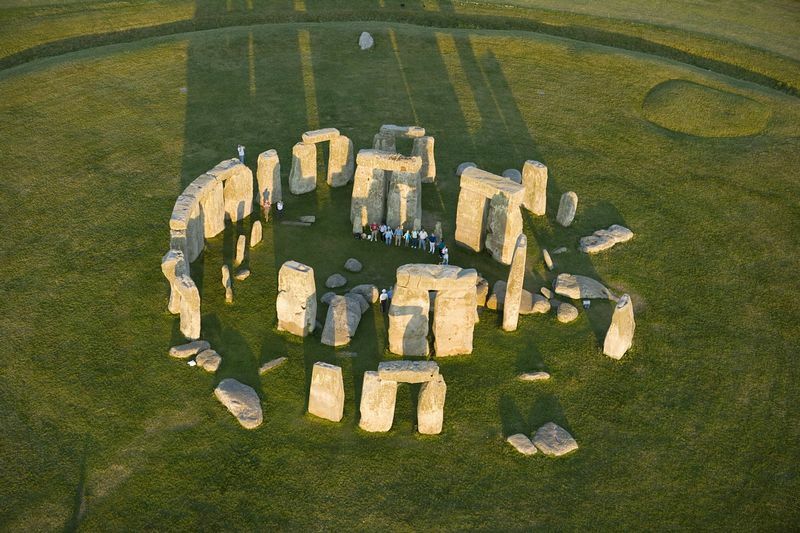 And 'what was Stonehenge used for?' have been asked. Thanks to today's archaeologists and scientists we know the answers to some of these questions, however some are still unknown, shrouded in the mists of time. 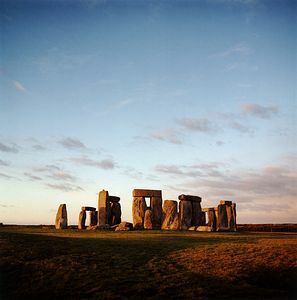 There is no evidence that Stonehenge was built as a sacrificial site, or that the central stone, sometimes called the altar stone was used for sacrifices. 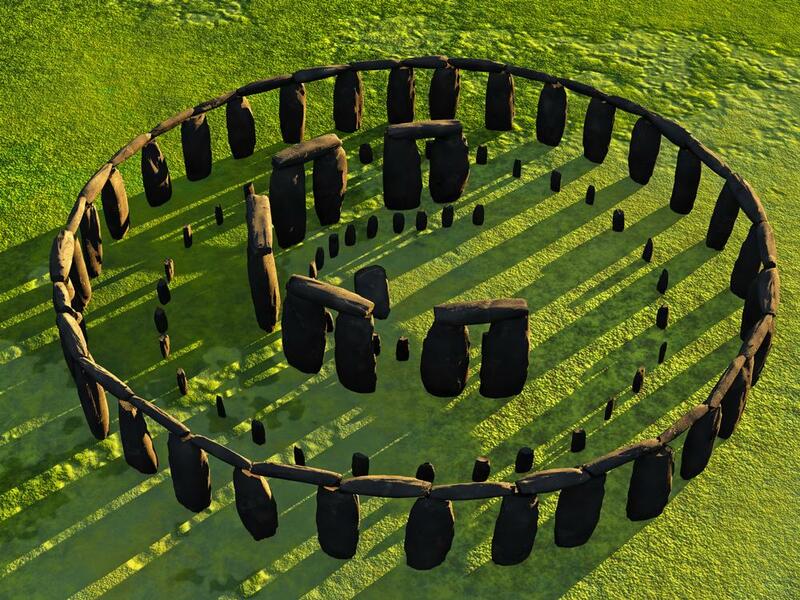 Some say Stonehenge was used as a religious site of worship. 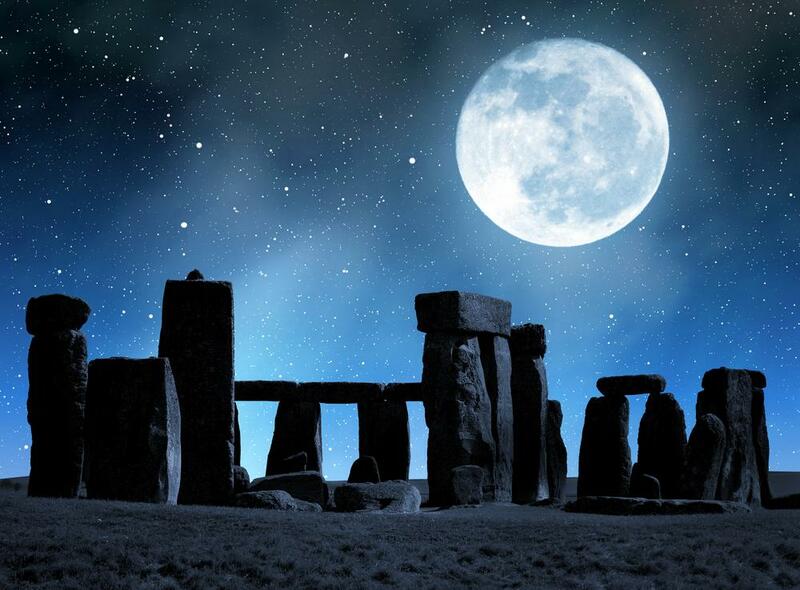 Another theory is that Stonehenge was built to calculate the annual calendar and seasons. Whatever this ancient monument's original purpose, it remains one of Britain's most iconic landmarks - a genuinely awe-inspiring sight which you won't want to miss. 2 miles from Amesbury & 9 miles from Salisbury at junction of the A 344 and A303 West of England trunk road. 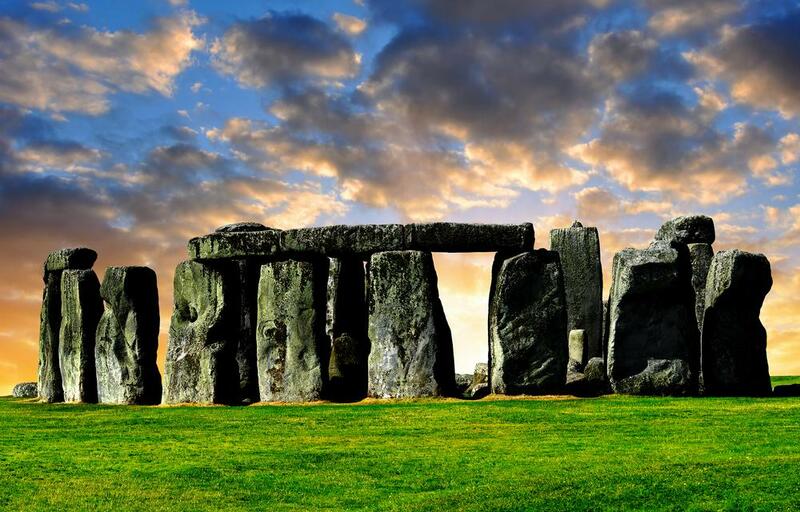 Buses run from Salisbury railway station and Market Square to Amesbury and Stonehenge. Direct trains to Salisbury depart from Central London-Waterloo, Exeter, Cardiff, Bristol, Bath, Bournemouth and Portsmouth. 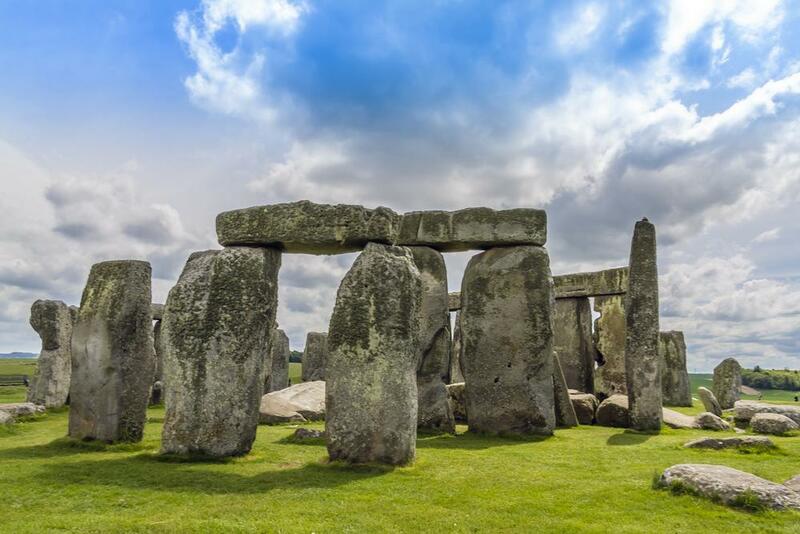 The Stonehenge Tour Bus runs from Salisbury railway station via Old Sarum direct to Stonehenge.